COLOUR!! 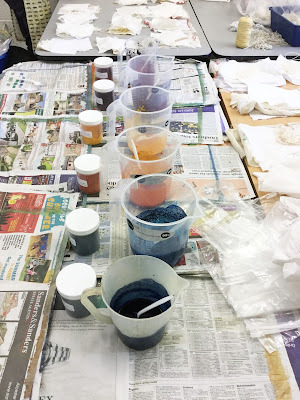 Procion and Disperse Dyes - Experimental Textiles 4 session 6. November 21st and 22nd. 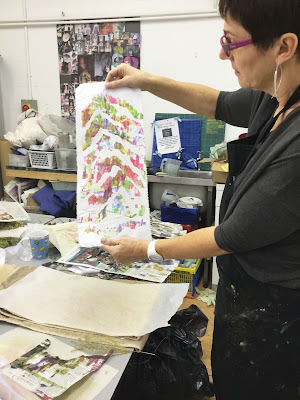 Transfer print decorated with organza bonded applique. 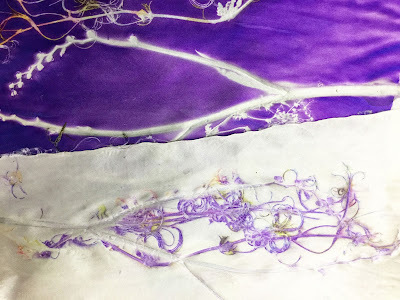 Being able to colour/dye and print your fabric is very important if you want your work to be different. 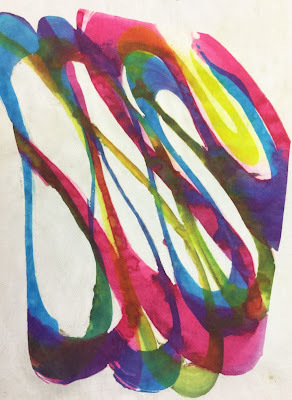 In my teaching I strive to help my students create original work. It is my passion. 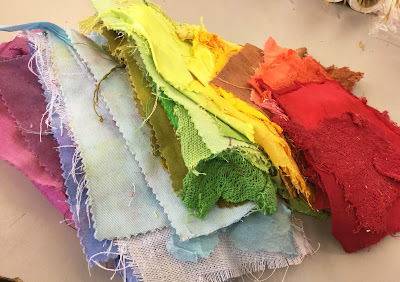 So this session is very important, dyeing natural fabrics (Viscose, cotton, silk)with procion dyes and synthetics with disperse/transfer dyes. It takes a lot to organise but is soooo worth it. The group sorting all their fabrics and putting them in their plastic bags. 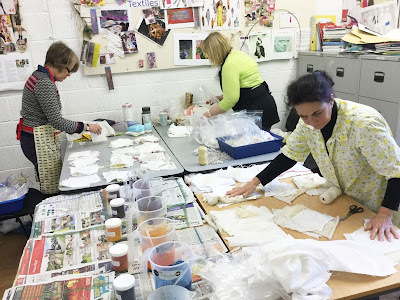 Learning how different types of fabric take the dye is great fun. 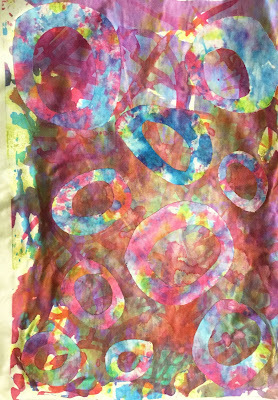 I use the dyeing in a plastic bag method for this. We don't need yards of fabric to give us the information we need. 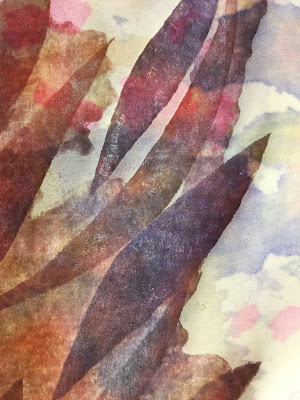 I use Ruth Issett's book Colour on Paper and Fabric for all the dye recipes. It is now out of print but can still be bought quite reasonably. I always refer to Ruth's books, having done several summer schools with her, I know her systems work - she is the Queen of Colour!! Getting the procion dyes ready. 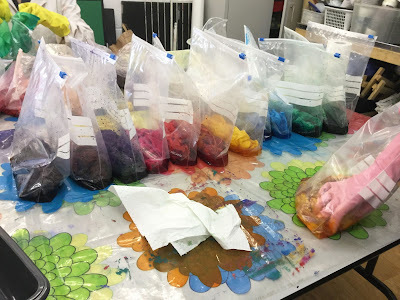 Once the dyes are mixed and 'live' the group added the dye to their bags - then they had to wait . . . I usually say leave it for 12 hours. You know the dye is spent by then. 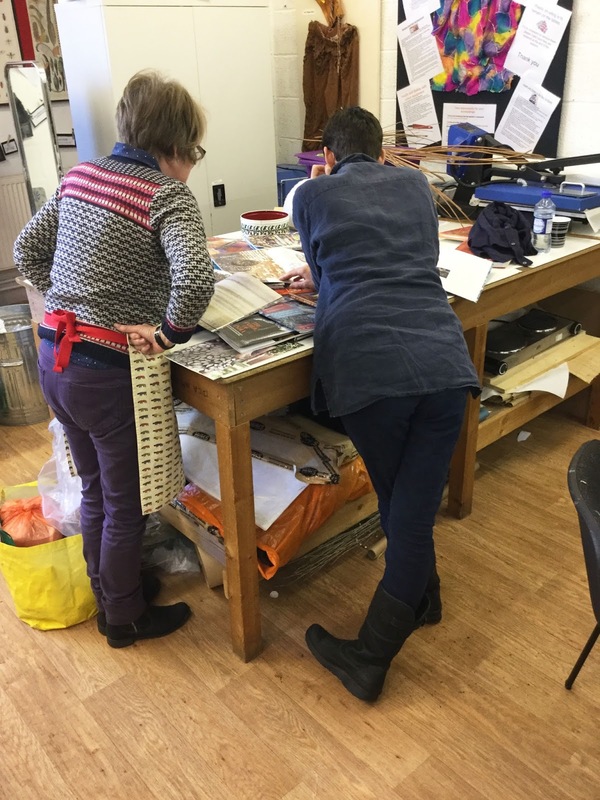 Once the bags of fabric and dye are safely stowed away in cat litter trays or plastic washing up bowls, there isn't much you can do but wait. So we got on with painting the disperse/transfer dye onto paper ready to transfer with heat the next day. 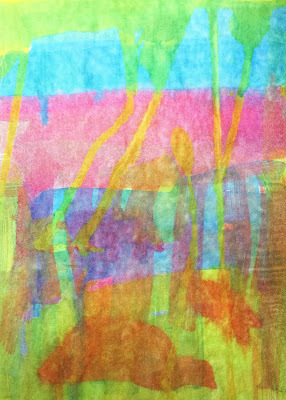 Painting up papers with disperse/transfer dye. 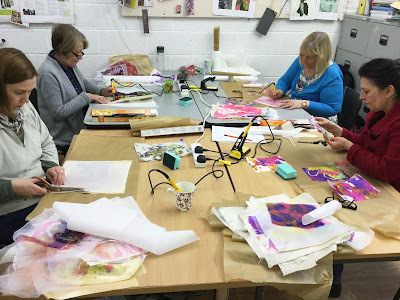 The group enjoyed spending the rest of Saturday afternoon painting their papers. A bit like play school, it didn't matter what they looked like we just needed the paper to be covered in colour. As it was our last session before Christmas the group decided it would be a great idea for us all to go out to dinner that night . . . The ExTex 4 girls at a local hostelry . . . we had a great evening. 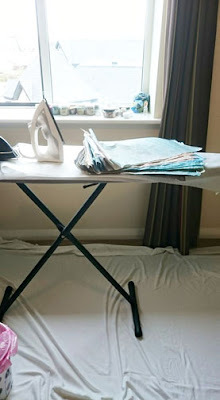 Despite having a reasonably late night - the girls were in before time on Sunday morning - and Catherine had stayed up to rinse her procion dyed fabrics and iron them dry - she couldn't wait . 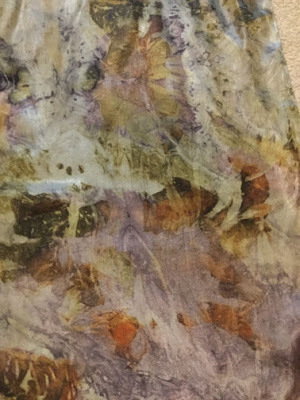 . .
Catherines dyed natural fabrics - they turned out well. 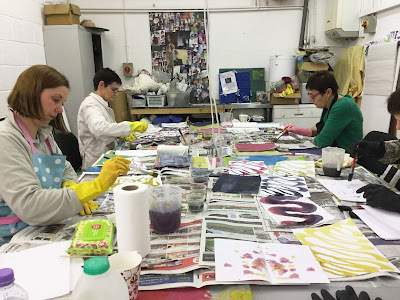 Once we had all thoroughly enjoyed looking at Catherine's fabrics we got on with the task for the day - transfer printing with disperse dyes. 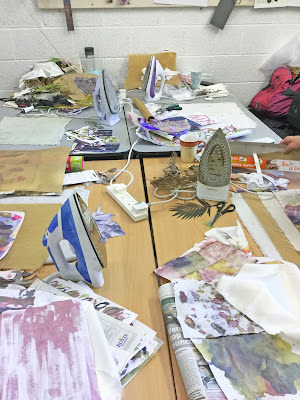 The papers the group had printed the day before were now dry and ready to print onto synthetic fabrics. Caroline using the heat press. 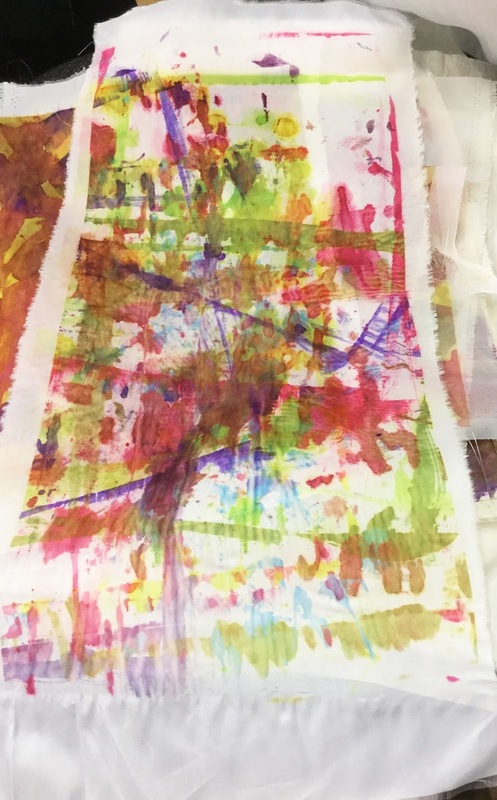 We also used irons to transfer the dye from the papers to the fabrics. 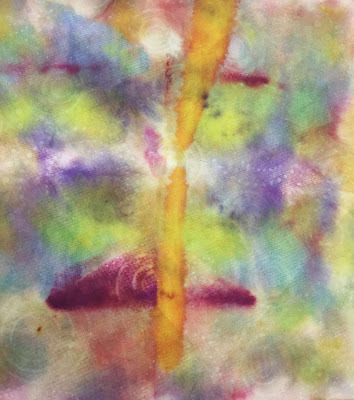 Disperse dyes or transfer paints as they have become known, are transferred from paper to synthetic fabric with heat. You can use an iron, but it can be a bit time consuming. However, it is a great way to learn, you have more control. The IDC studios have a heat press which makes very short work of transfer printing. 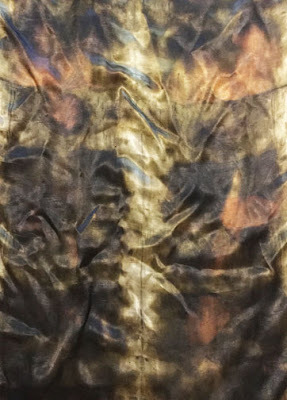 You get bright, almost shocking prints on your fabric. Anna surveying one of her prints. Newspaper was used to protect the tables while the group painted their papers. 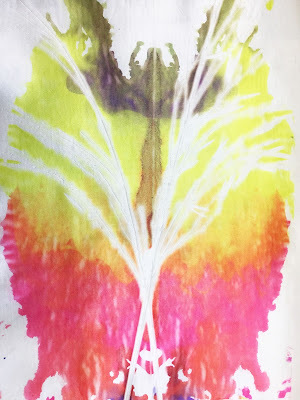 This was a print of 'run of' dye on the newspaper. 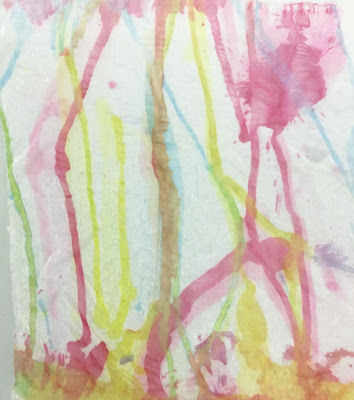 Using kitchen towel to soak up spills and dye residue can be very useful, this print is from a piece of kitchen towel used to soak up spills. 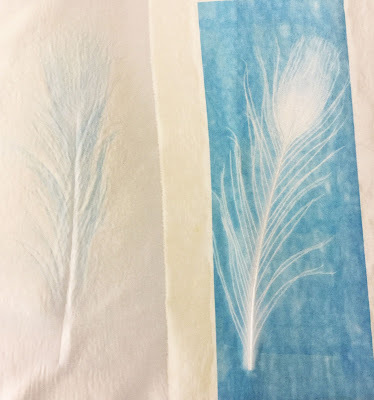 Letting the dye run on the paper. 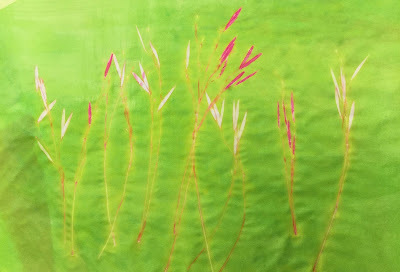 Using grasses, leaves and feathers as resists. 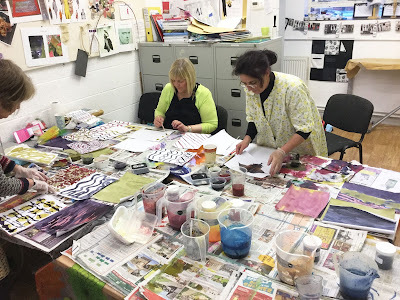 We are now over half way through the course - there are a mere 3 more sessions to go before the course finishes in March. The girls are all now communicating with each other outside of the sessions and get on very well together when they work as a group. I love watching them interact. Caroline and Nadine enjoying a chat over the book table. Once the group had printed piles of synthetic fabrics, I managed to stop them (eventually) as we had another techniques to try. 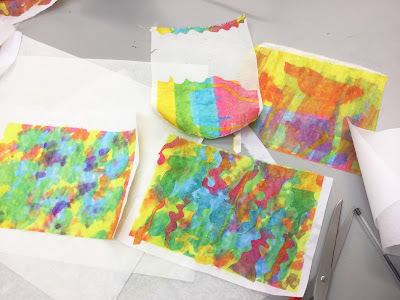 Cutting applique shapes with a soldering iron. Bondaweb was ironed onto the back of a print. (the backing paper is left on). Shapes were then cut from this using a soldering iron instead of a pair of scissors. It is a great way to learn control with a soldering iron. If you press too hard and go through the backing paper - it is easy to see. Some of the girls working with the soldering irons. 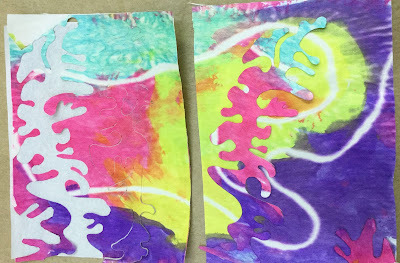 You can see the shape on the right was cut and lifted out of the fabric on the left. More shapes cut and then applied to another fabric. 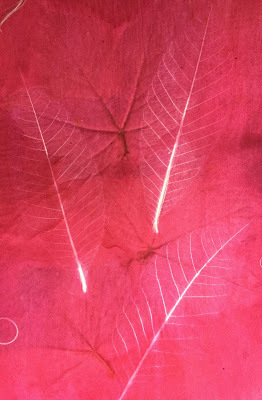 As the cut shapes already have Bondaweb on the back - they can be ironed onto a background fabric - it is a quick and easy technique - always use backing parchment to protect your iron when you iron your applique shapes in place. 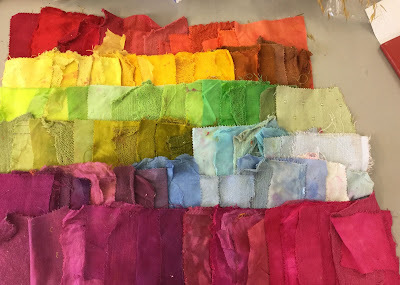 A few of the applique samples . .
We had a great weekend, the girls worked hard and have the prospect of rinsing all their natural fabrics. I wish I could see their faces . . Several members of the group live a great distance from The Old Needle works and stay overnight at one of the local hotels. They had to very careful how they packed all the bags of wet, dyed fabrics in their cars. Trisha travels down from Scotland by train!!! If you are interested in the course we are now enrolling for 2016/2017. The course runs from June - March. It will be the last time I run Experimental Textiles in this format and we can only take a maximum of 10 students. If you have questions about the course, do email me at info@kimthittichai.com. I am writing this post in my room in my hotel in Harrogate, Laura and I have just set up the Freudenberg Vilene Retail stand at The Knitting and Stitching Show at the Harrogate International Centre. I love this show, it's a beautiful town and we will be surrounded by so many of our friends. Hello Diana, we will talk soon, Hello Tod we have spoken and HELLO Jill, can't wait to see you - squeeeeeeaaaalllll! Space and time to breathe. 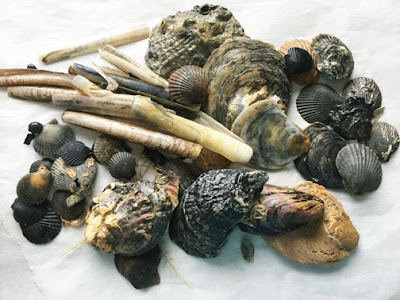 Some of my collection of shells from Curracloe beach. So - here I am in Carrick on Shannon, Ireland on a 13 day break. With nothing planned!!!! I have 4 days left before I travel to Dublin and the Knitting and Stitching Show. As many of you will know, my life is usually planned out at least 2 years in advance with little room for manoeuvre. 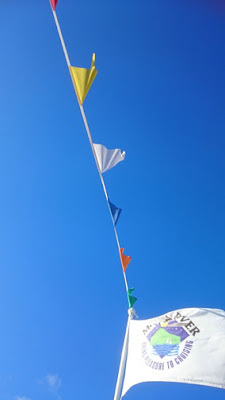 I have had time to catch up with emails, this blog, do some exploring . . . and rest. I was a bit worried about what I was going to do with my self - I have managed to occupy myself splendidly. Regular readers will know I taught in Australia in September at the Geelong Fibre Forum. One of the tutors there was Nicola Brown - from Ireland. The world just gets smaller doesn't it? 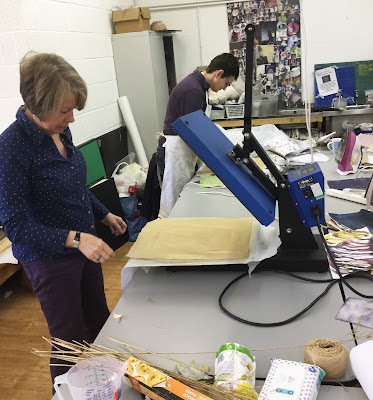 Nicola is eco dyer, eco printer and felt maker. She is great fun to be with and it is great to meet like minds. As we got on so well I suggested we meet up when I was over here. On the road, across country, to Borris. It took just over 3 hours to drive to Borris in Co.Carlow where I had arranged to meet Nicola. I would then follow her to her house as it was a bit hard to find - it was! 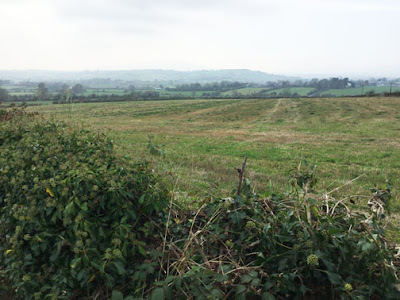 County Carlow is very beautiful, very rural, with very quirky and interesting towns and villages. Some of them look as though time has stood still. 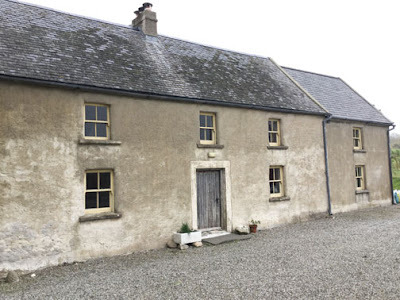 Nicola live in a very quiet, rural area in beautiful surroundings. The views all around her house are stunning. 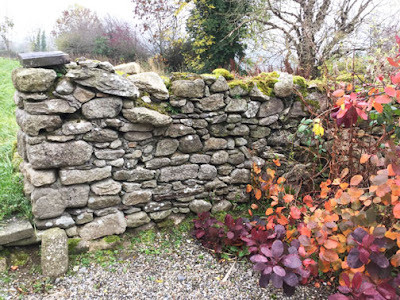 I love dry stone walls and the roads are lined with them all over Ireland. In Nicola's area they are made of granite - wonderful. 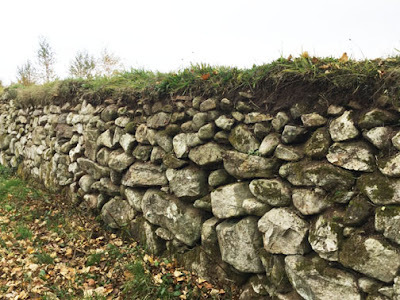 One of the walls in Nicola's garden. 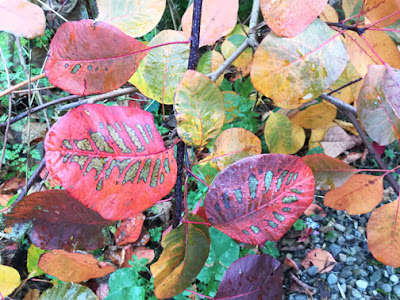 A Cotinus shrub whose leaves feature heavily in Nicola's work. 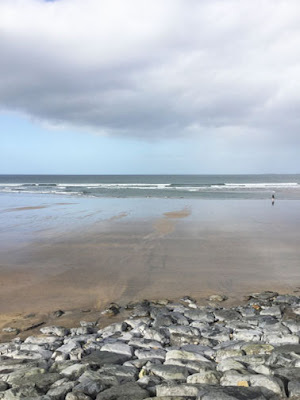 A walk up the lane to see the views and the walls . .
Knowing my love of the sea and beaches, Nicola whisked me off to a wonderful beach that is an hour away from her home. 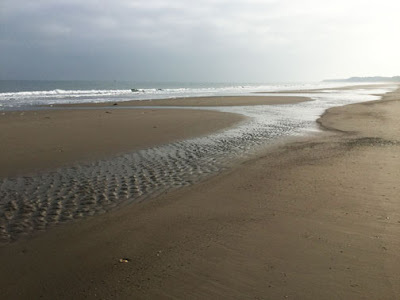 Curracloe beach is in County Wexford and is one of the most popular beaches in Ireland. Deservedly so, miles and miles of clean sand and sand dunes, stunningly beautiful. 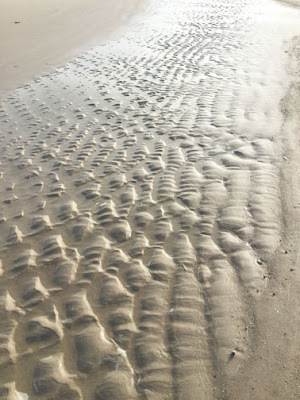 I love the patterns created by the tide. 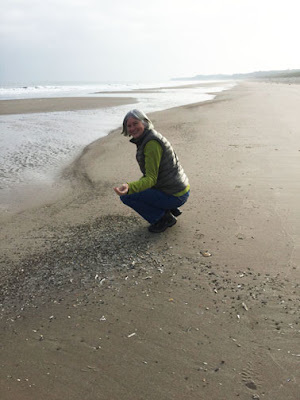 We had a great time collecting shells and generally admiring our surroundings. This my haul - a wonderful collection of rusts and black. 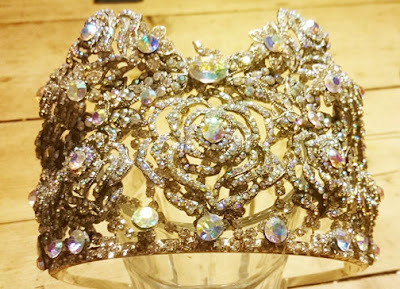 Last Sunday I went along to the Carrick on Shannon car boot sale - and bought a tiara!!! As you do . . .
My rather over the top purchase which I want to dismantle and make lighter - it is too heavy to wear. As it will be my birthday on the Saturday of the Dublin Knitting and Stitching Show, I thought I would dress appropriately! I had planned to have a party at home on that Saturday, but the dates of the show were changed - GGrrrrr!!!! 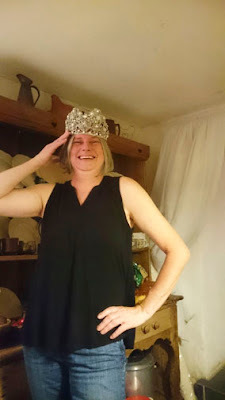 I had taken the tiara with me to Nicola's as I don't have any tools with me - strangely!! I needed the use of a hacksaw and wire snips. As it happens - we were having such a good time - I forgot to work on the tiara. I have since bought the tools and sorted said tiara here in my room in Carrick on Shannon. I just love this color combination. I was very much looking forward to seeing more of Nicola's work and where and how she did her eco dying. It is a fascinating subject and Nicola is a very talented artist. I of course had to buy 3 scarves, 2 for me and one for my sister. It was very hard just choosing 3. 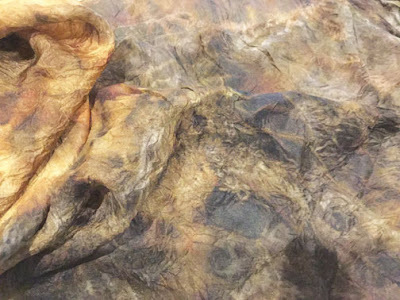 I have also commissioned a huge silk organza wrap - my birthday present to me. 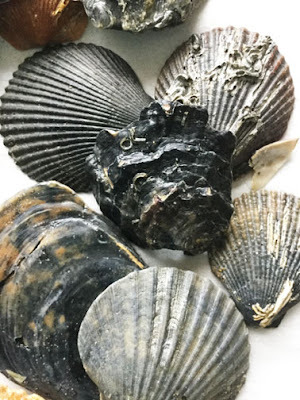 My silk satin scarf, it's a heavy weight . .
. . a detail of the scarf - aren't the colours fabulous, very similar to my shell collection!!! The other scarf is a lighter weight silk, more floaty. I can't tell you how beautiful it is - the photographs don't do it justice. 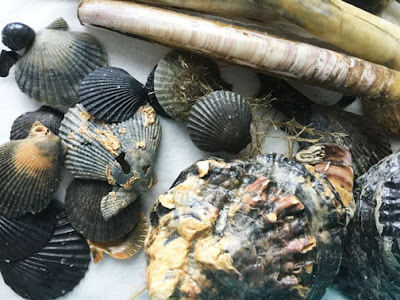 Nicola's work and her environment are totally organic. She has even planted 13.000 trees on her land. I don't think she will be running out of leaves for her dying and printing anytime soon . . .
Nicola's website is - www.nicolabrown.ie do have a good look at it. Nicola is also on Facebook. I know we will be meeting up again . . and again. We have date next year for me to come over here and hopefully Nicola will be able to fit in a stay in Brighton in the not too distant future. Travellng to teach, whether it's in the UK or further afield can be tiring, and at times lonely. But there are also tremendous benefits, making new friends is one of them. It easier to stay in touch wherever you are in the world now. I know I could be accused of being on Facebook almost continuously, but is a wonderful way to stay in touch with friends all over the world. Being able to communicate with past students in Australia and New Zealand is great fun, and we never know when we will see each other again as I travel there annually. Anything could happen - and probably will! 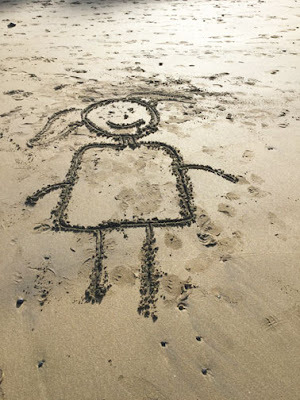 One of several sand drawings made on the beach at Strandhill. 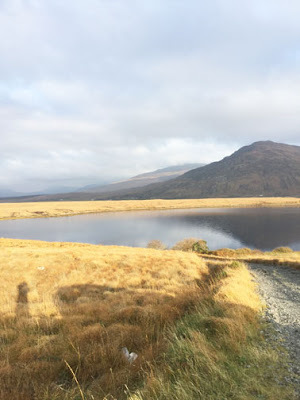 I am having the best time in Ireland, I have flown over early - I am due to be at The Knitting and Stitching Show in Dublin next week. I was a bit worried about spending so much time on my own - 13 days - but I am doing fine. I really need the break. Time to decompress, make plans and catch up with myself. 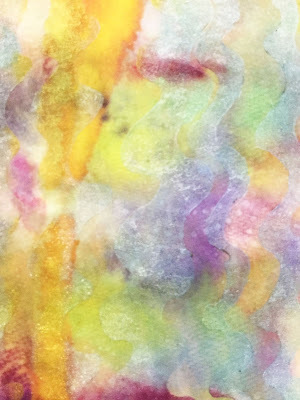 I have been experimenting with a few products and getting down to some stitch - sheer bliss . . .
My 'studio' in my apartment. I have a sheet on the floor to protect the carpet from all the sparkle!! 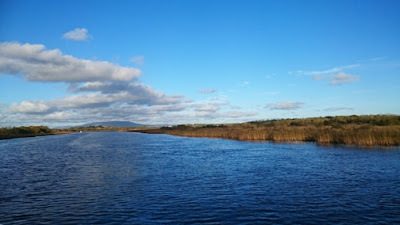 I have also been on a boat trip up the Shannon . . . The weather has been a mix of fog, cloud and sun. It will rain at some stage . . So far i have been lucky. 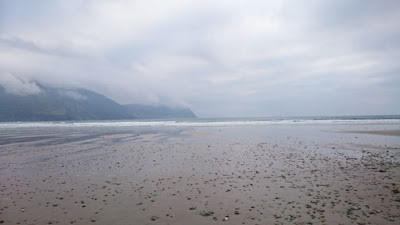 Today I drove over to Achill Island - I had been told the beaches were beautiful. 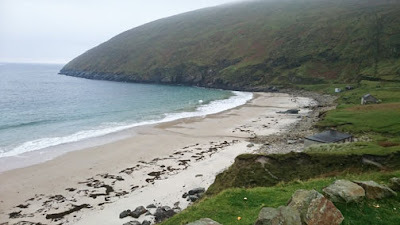 I left this morning in thick fog and by the time I reached Achill the sun started to come out. The colours were absolutely stunning. The rusty colours of the peat bogs are very beautiful. 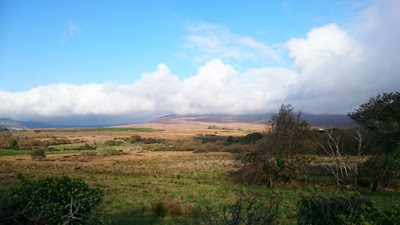 A view from the road to Achill, just past Newport. I had been told to go to Keem beach - little did I know it was over a scary hill. The road up was very steep and VERY narrow with a sheer drop to the sea close to the edge of the road. AArrghhh!!! I am scared of heights - but I was committed so I carried on - slowly. I just screamed and talked to myself to keep myself going. You know how it is, you are laughing almost hysterically, knowing you are a grown up, quite experienced driver and absolutely terrified. I got to the beach, and then saw it was a dead end, which meant I had to drive all the way back over the hill, aaahhh!!! At least the sheer drop was on the other side of the narrow road. It was also thick fog at the top of the hill which obscured my peripheral vision a bit. I was exhausted by the time I got back down the hill. 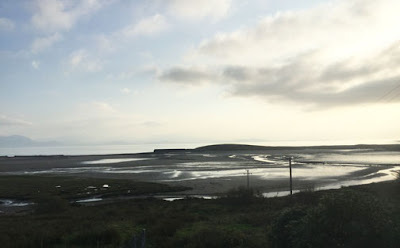 I stopped at Keel beach on the way back - so much easier to get to - you park by the side of the road. And it was STUNNING!!!! The weather was cloudy with the odd shaft of sunlight. And VERY windy. So invigorating. Just what I needed after my scary drive. I had a play with the panoramic setting on my phone. 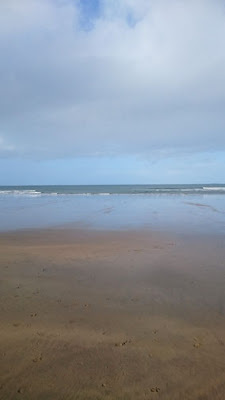 I had a wonderful walk up and down the beach - it certainly blew the cobwebs away - exhilarating. I had to keep stopping all the way back to Carrick on Shannon to take photos. 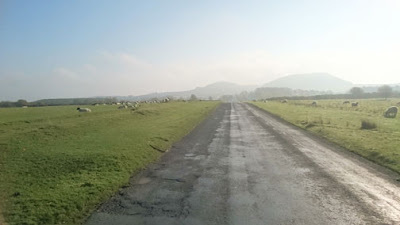 The roads were very windy and it was difficult to find safe places to stop. Bu tI managed to take a few shots. A couple of the many shots I took on the way home. I met Nicola last month in Australia. At the Geelong Fibre Forum. We were both teaching there. It wasn't til I heard her lecture that I learned she was from, and lived, in Ireland. As we got on so well, we decided to meet up while I over here. 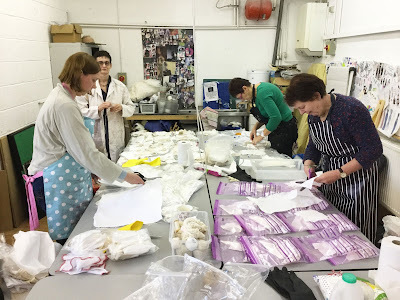 I am very excited about meeting Nicola again, she is a very talented felt maker and eco dyer. I will report back in the next post. I can't wait to see here studio. Hello Jill and Tod and Diana! !